On December 6, 2013, Miami-Dade Water and Sewer entered into a federally mandated Consent Decree (CD) with the United States Environmental Protection Agency (EPA) and the Florida Department of Environmental Protection (FDEP)and is committing to making improvements to the wastewater collection and treatment system totaling $1.6 Billion over the next 15 years. 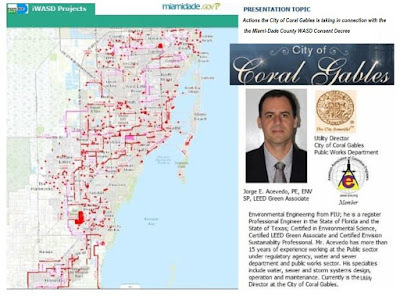 The CD affects directly Volume Sewer Customers (VSC), such as the City of Coral Gables, under the VSC Ordinance Program. The Purpose of this program is to eliminate or otherwise control Sanitary Sewer Overflows from the Wastewater Collection and Treatment Systems of present and future VSCs. 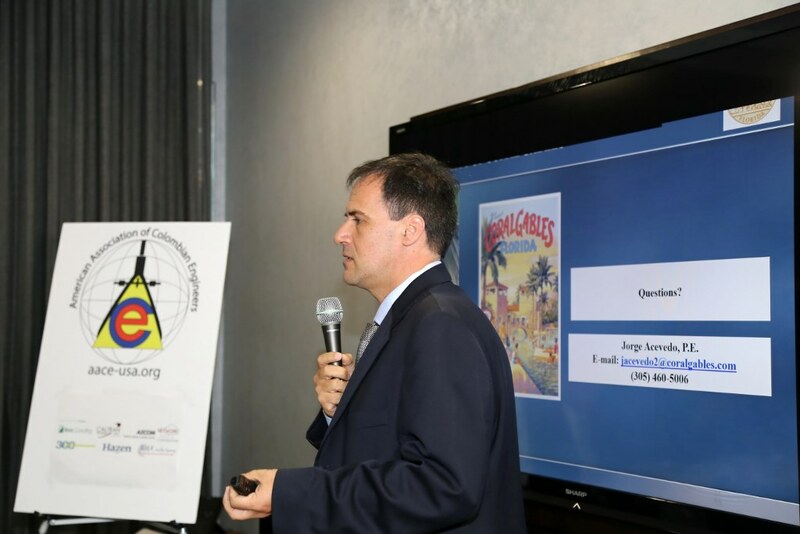 The City of Coral Gables had to submit for review and approval a Plan of Compliance including the new Capacity, Management, Operation and Maintenance (CMOM) programs and be prepared for implementation after approval. The presentation gave a current approach how the City of Coral Gables is being prepared to be in compliance. Mr. Acevedo is an Environmental Engineer from FIU and a Registered Professional Engineer in the states of Florida and Texas. Mr Acevedo is a Certified LEED Green Associate and holds Certifications in Environmental Science and Envision Sustainability Professional. Mr. Acevedo has more than 15 years of Public Sector experience with supervisory responsibilities in the planning, design, permitting, construction, inspection, operation, and maintenance of water distribution, wastewater collection, storm sewer, and water and wastewater treatment processes. 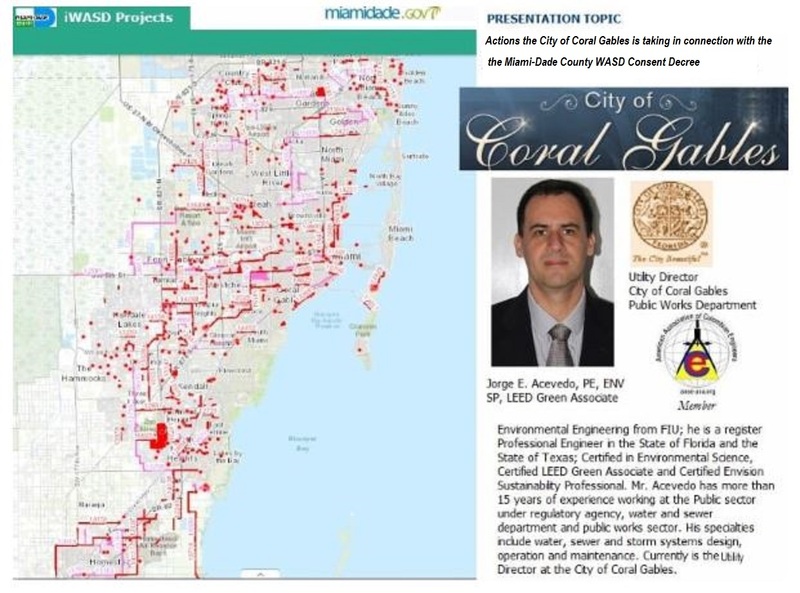 Mr. Acevedo is currently the Utility Director at the City of Coral Gables.